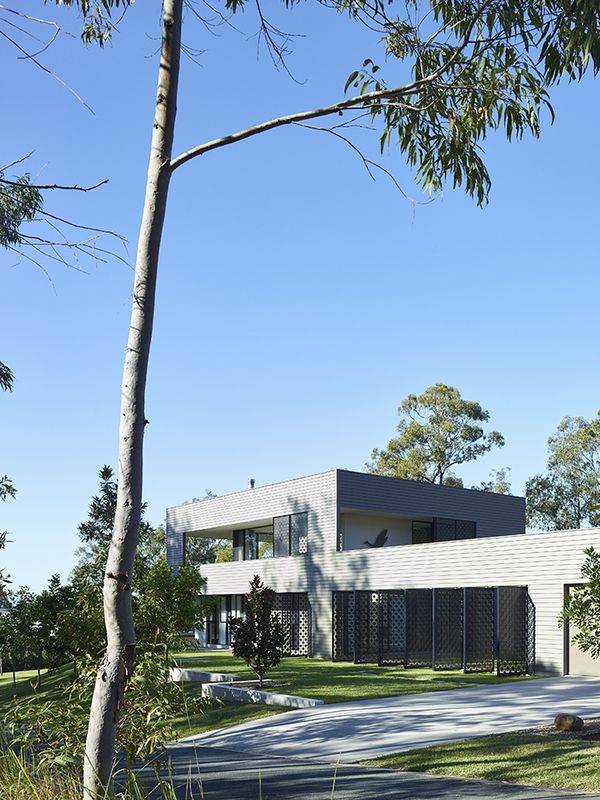 Designed to merge with its setting and connect with the abundance of native flora and fauna on the site, this Gold Coast home by Jamison Architects cleverly invites the outside in. 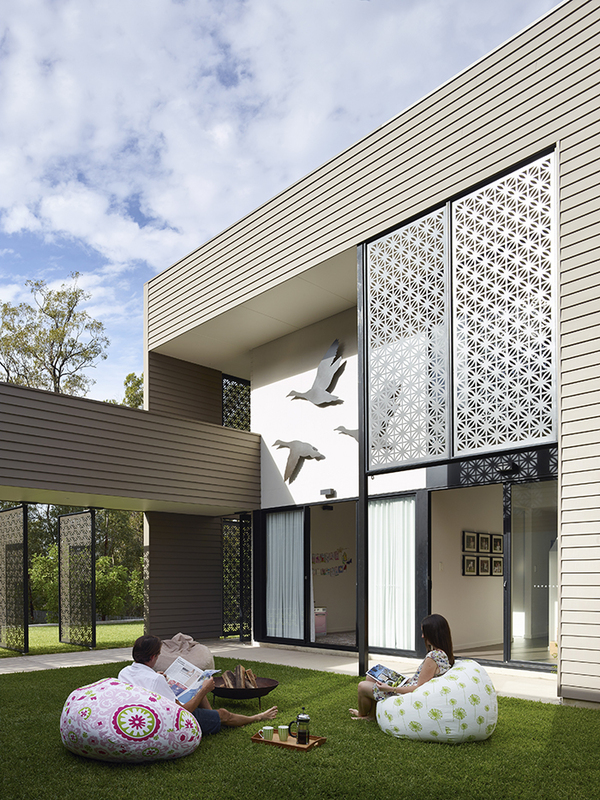 Designed by Jamison Architects to harness the benefits of natural light and cross-ventilation, The Bird House is a unique home that comprises two pavilions connected by a central grassed courtyard. 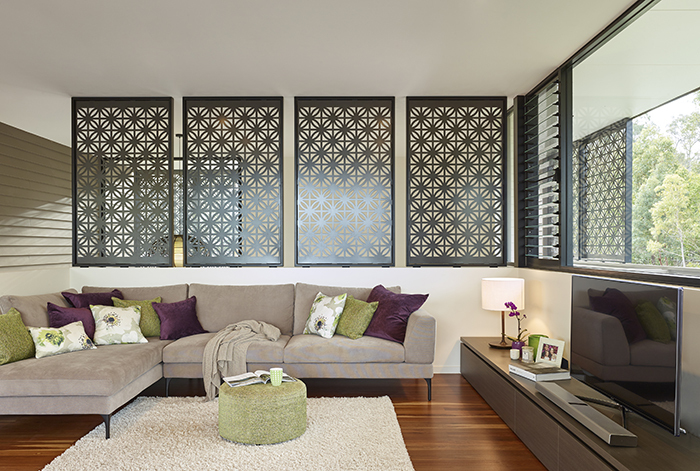 Surrounded by laser-cut screens, this green space creates a memorable entry and arrival experience, while serving as the heart of the home where the family can come together to relax and play. 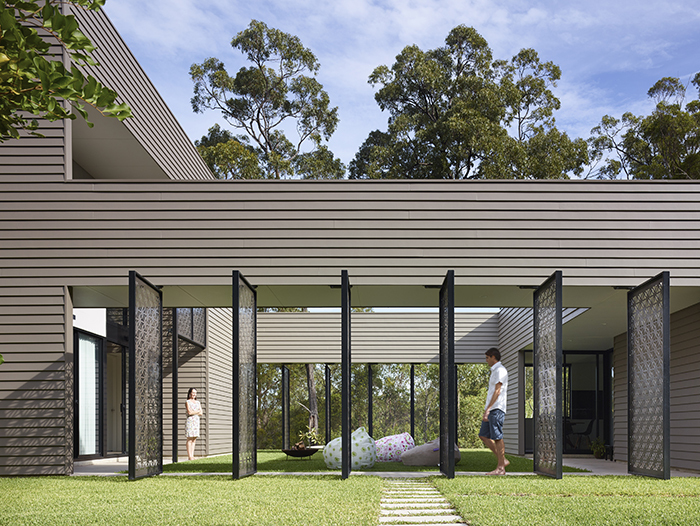 The screens are openable, so the space can be intimate or expanded to connect to the surrounding landscape, offering a play of light and shadow and changing the dimension of the space. 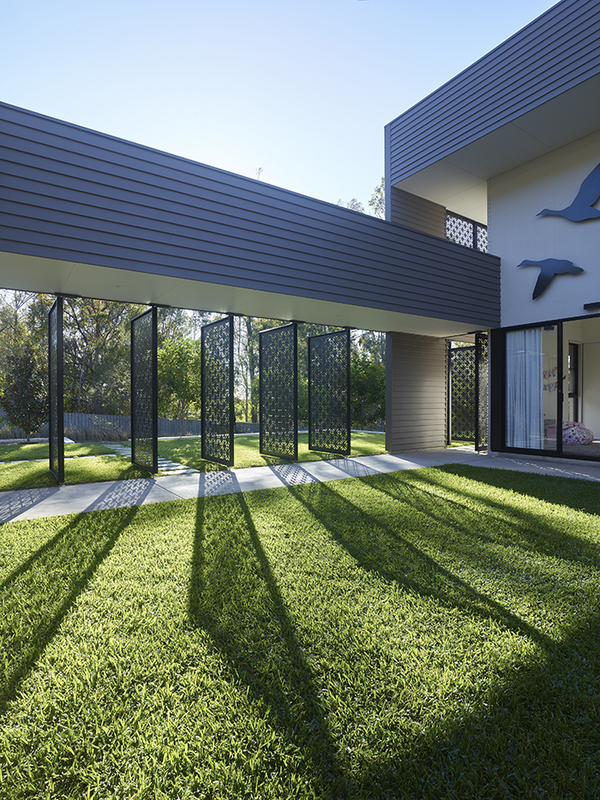 Shade and filtered light dances through the screens by day, while at night the courtyard becomes a spectacular frame to the starry sky. 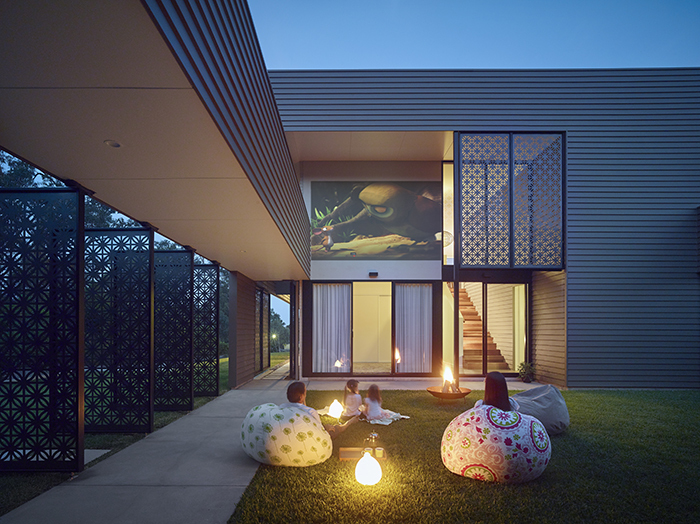 The family often gather here around the fire bowl toasting marshmallows or enjoying their own outdoor cinema, with movies projected onto the western wall. 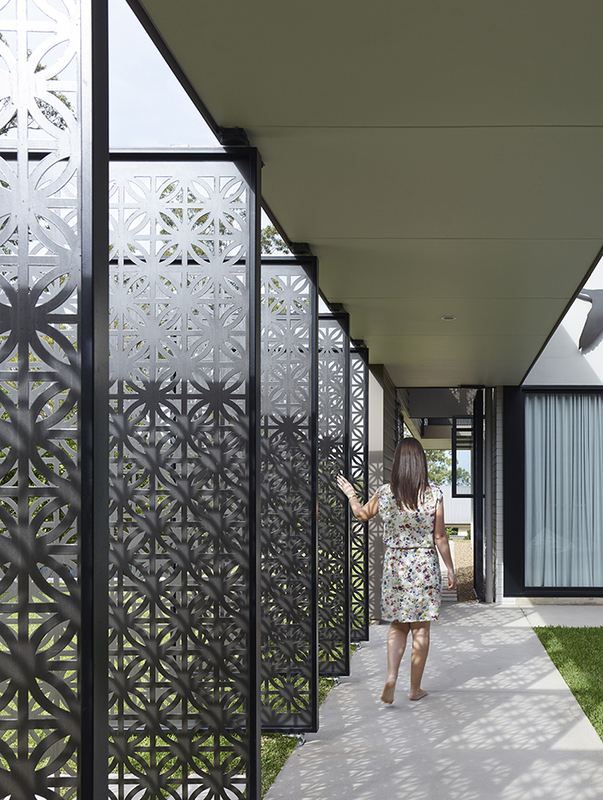 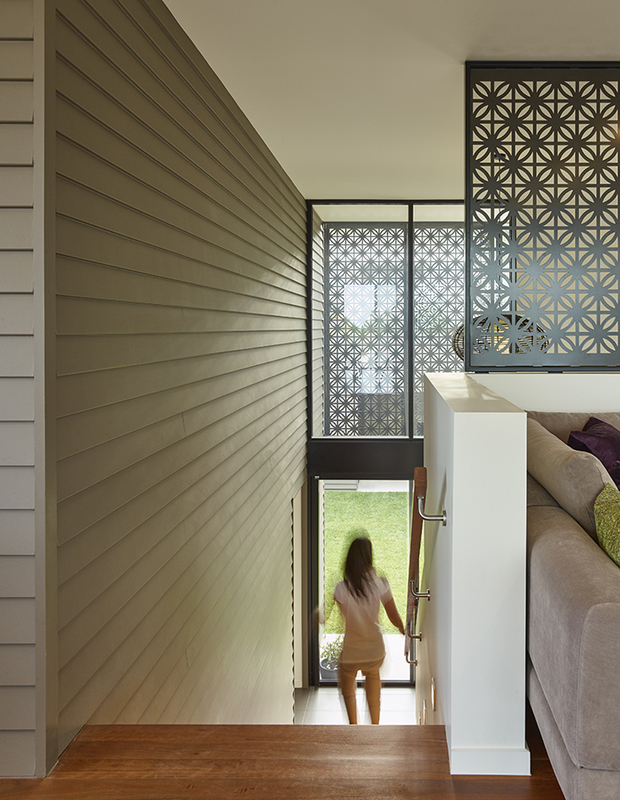 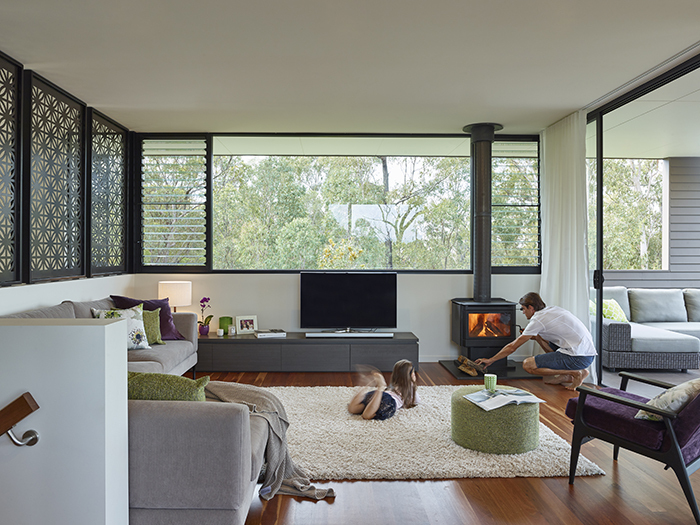 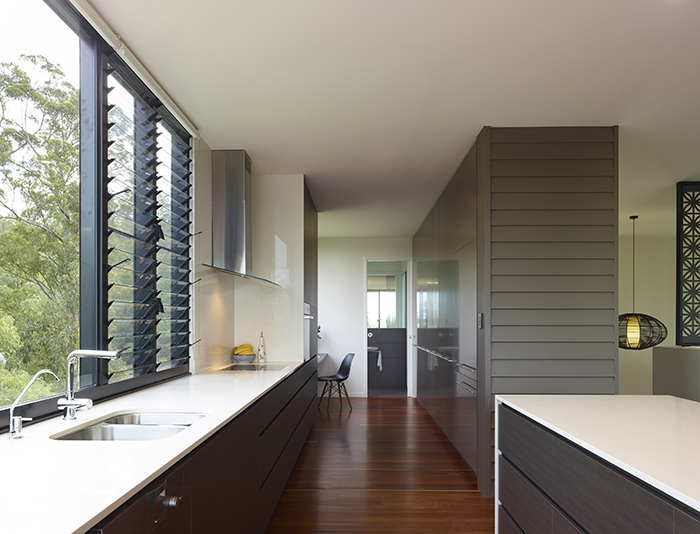 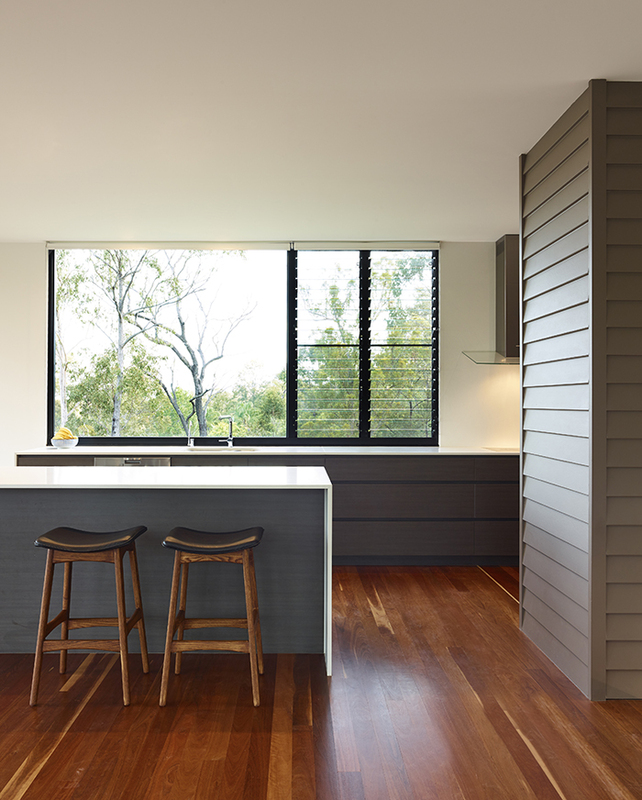 The laser-cut screens are a running theme throughout the home, cleverly used in other areas to provide screening for shade, privacy and separation of space. 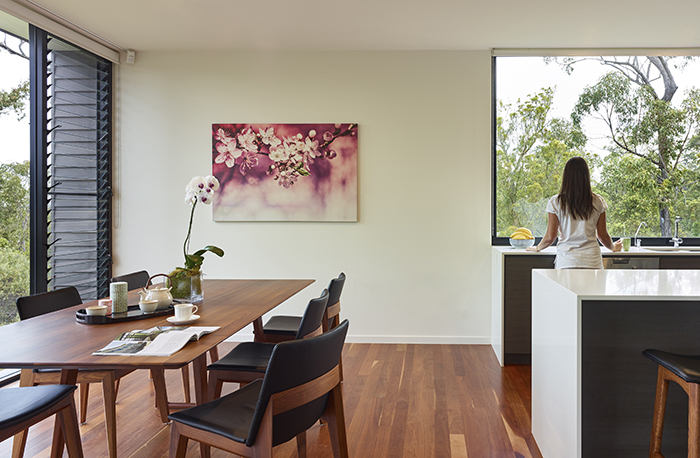 An extremely efficient floor plan and the illusion of space is maximised through the use of a void and floor-to-ceiling glazing, enabling a greater connection to the natural environment. 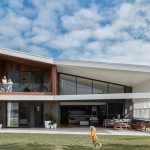 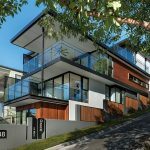 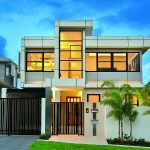 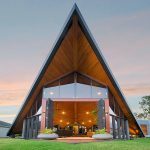 Exterior cladding is carried through from the courtyard wall to the entry of the main pavilion, drawing visitors upstairs to a lofty living area which offers spectacular views of bushland and the Gold Coast.